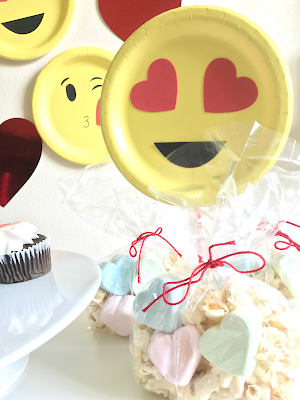 My boys are big EMOJI fans, so of course I had to throw an emoji-themed Valentine’s Day play date for them! 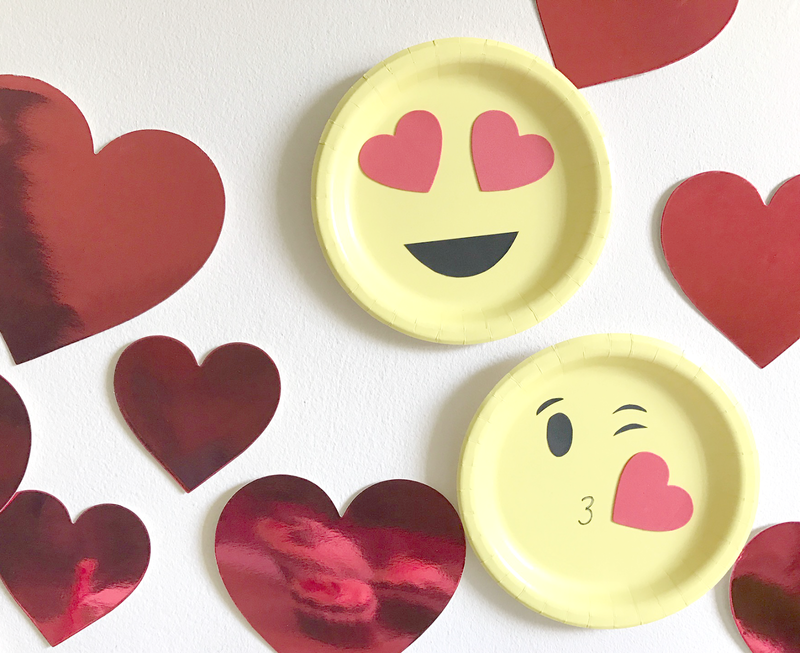 Unfortunately, there’s not much emoji-themed party decorations BUT luckily, it’s so easy to DIY. 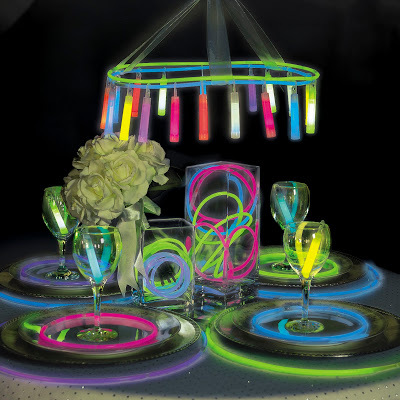 With help from Oriental Trading Company, I got exactly what I needed to create this fun (and simple) party! To create love-inspired emojis, all you need are yellow paper plates, foam hearts, and black card stock. Get those scissors to cut the shapes you need from the card stock to glue and remember, it doesn’t have to be perfect. 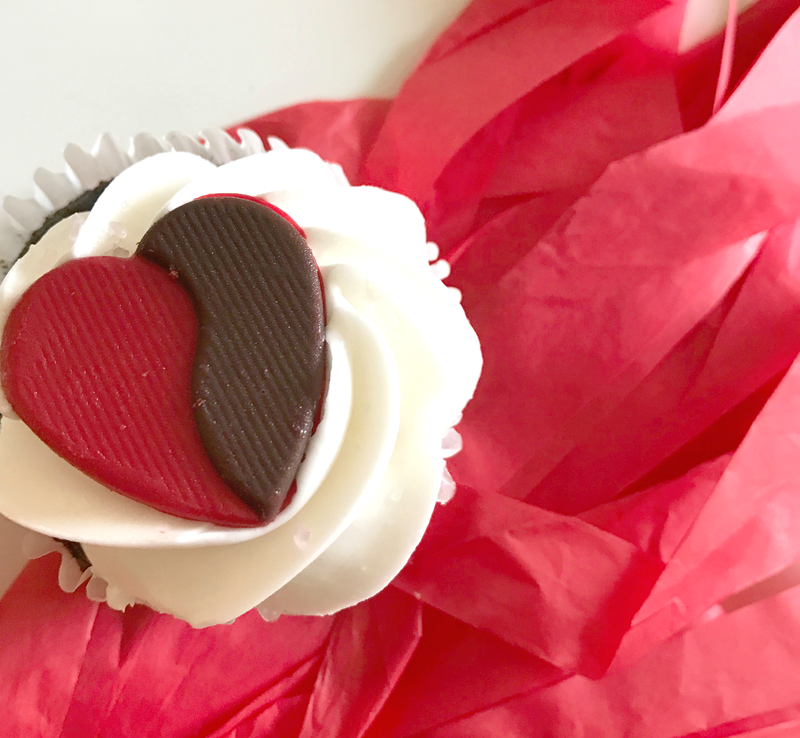 I know I went a little crazy with red hearts…but I couldn’t help myself! 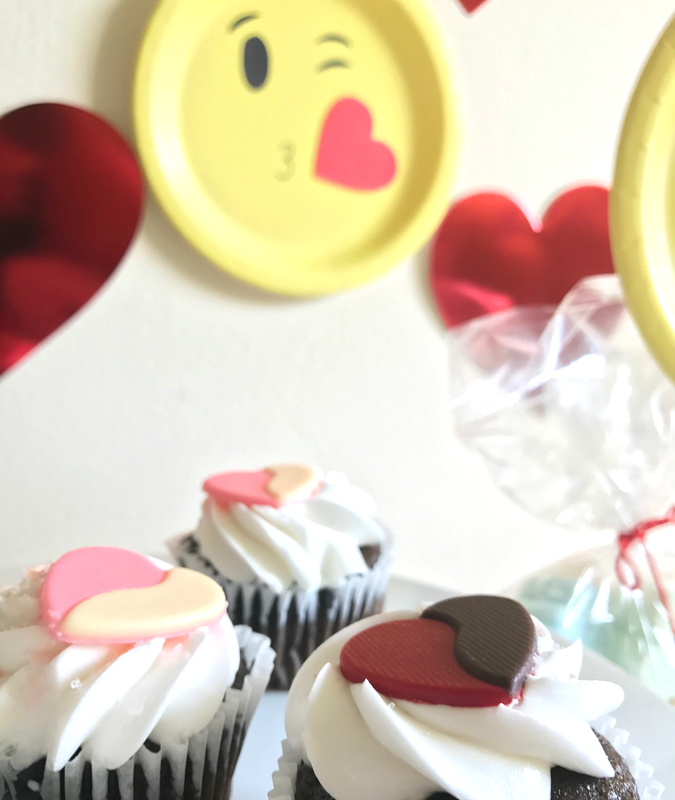 And luckily my boys didn’t mind, it’s Valentine’s Day after all. 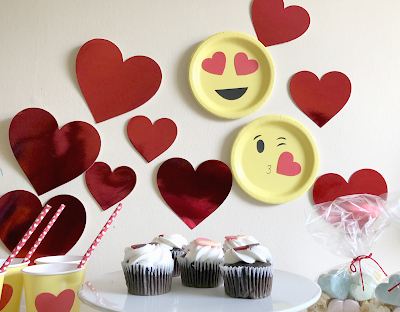 These fun heart cut-outs are easy to display and definitely reusable for next time, plus they don’t take much space to store. And I love working with colored paper cups/plates…you can create just about any character with them. 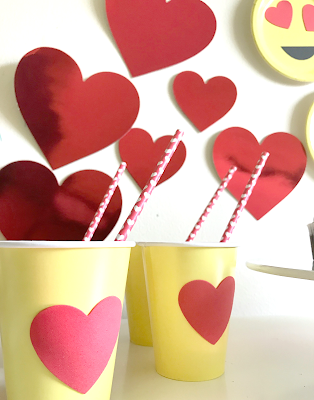 Check out my Monster Inc. inspired cups from a past post… Disney’s Monster University Party. How are you celebrating the season for love with your kids?